How would Europe have looked if Nazi Germany had been victorious in World War II? Between 1933 and 1945, Hitler developed a vision for an infrastructure, architecture, race, labor force and Lebensraum the acquiring of living space among many other plans. Some of these were implemented during his leadership as the German Wehrmacht expanded the Nazi sphere of influence, but what were the unrealized plans for a Europe dominated by the Third Reich? A racially based order would have been established across European Russia, with former German soldiers running farms worked on by slave labor. Germany and Japan were to carve up the Soviet Union and Asia between them. Berlin was to be rebuilt as Germania, a world capital city designed on grandiose, neoclassical lines. 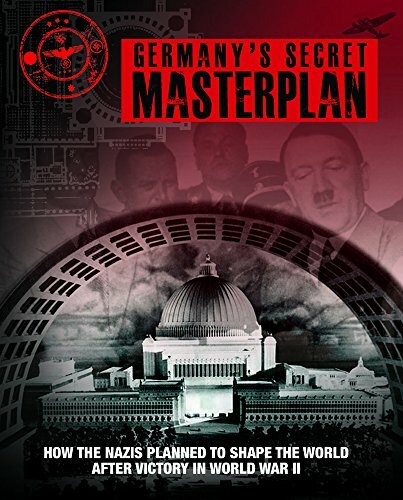 Arranged in chapters covering topics such as leadership, war, physical infrastructure, empire building, race, culture and weaponry, Germany s Secret Masterplan in World War II reveals the true scale of Hitler s vision for a Greater Germany and a world dominated by the Nazi ideology. Packed with easy-to-understand maps, diagrams, graphs and illustrations, Germany s Secret Masterplan in World War II is an essential reference guide for anyone interested in modern European history."